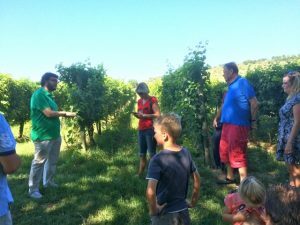 As you may know I run a tour a I Girasoli di Sant’Andrea Winery in the Niccone Valley. I have recently qualified as an Italian sommelier and am always interested to try wines and visit other wineries. In the last few years, the wines from Lake Trasimeno have caught my attention for their quality and great value for money. As the Lake is close to many of our rental villas I’ve been thinking about putting an itinerary together for a wine themed tour in this area. Last week I visited the Mezzetti winery on the north shore of Lake Trasimeno. The winery is just outside the village of Vernazzano, well known in the area for its leaning tower. You can read about a Walk From Tuoro To The Leaning Tower of Vernazzano by clicking on the link. The Mezzetti winery owns around 13 hectares of vineyard and several thousand olive trees. The vineyards are in Umbria (Lake Trasimeno) and Tuscany (Cortona) and the wines produced from each area are kept separate. 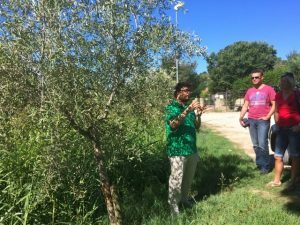 The tour (in English) lasts around 45 minutes and covers olive oil and wine production followed by a tasting. 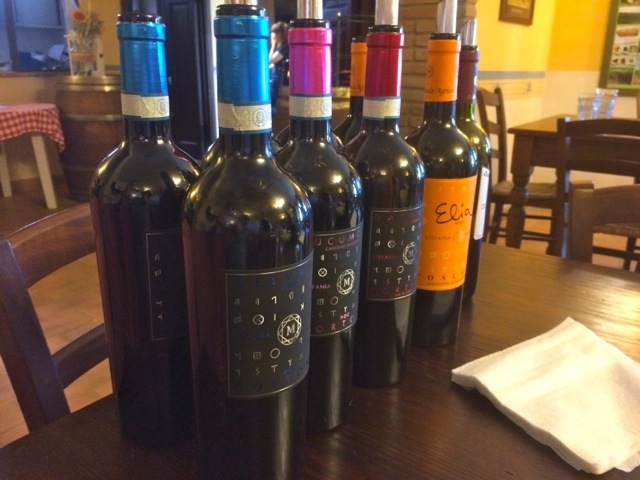 We tasted seven wines and for me the best were the two Tuscan Sangiovese, one priced at €7 and the other €15. In my opinion the best value for money was the €7 Sangiovese, aged for four months in oak. The wines priced at €7 were a Grechetto (white), Syrah (rosé), an unoaked Sangiovese / Cabernet / Merlot blend (all Umbrian) and the pure Sangiovese (Tuscan with 4 months in oak) that I mention above. I also quite liked the unoaked blend but, given that it was the same price as the more structured (and interesting) Sangiovese, the latter was the obvious choice to buy. The wines priced at €15 were a Sangiovese, a Cabernet Sauvignon and a Merlot, all Cortona DOC, all good wines but the Sangiovese was my clear favourite for the money. They do make a Cortona DOC Syrah too but, unfortunately, there wasn’t any available to try. The tour takes place on Wednesday mornings, it starts at 10am and the tasting finishes around 12 midday, the cost is €5/head, phone ahead to book a place.